That's right! Where's your insurance God now?!!! 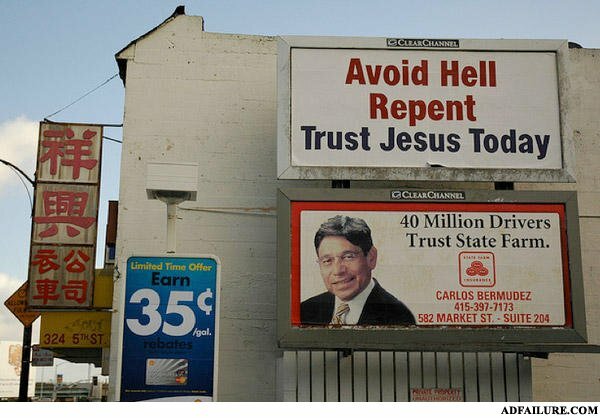 Trust Jesus... Trust State Farm... THIS IS SUCH A TOUGH DECISION! What is dark, funny looking, black, and rhymes with osama?